Offer valid on select brands only. Limitations and exclusions apply. See your Service Advisor for details. Ends April 30, 2019. Not to be combined with any other offer. Tax excluded. Oil change specials are for conventional oil only up to 5 quarts. Synthetic oil extra. Oil change specials are for conventional oil only up to 5 quarts. Synthetic extra. Not to be combined with any other offer. Tax excluded. Oil change specials are for conventional oil only up to 5 quarts. Synthetic extra. Stay safe on the road! 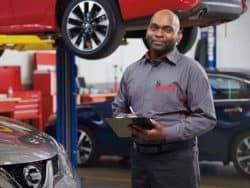 Our expert Nissan Service Techs will check your vehicle’s alignment for FREE! Schedule a Service today! Inspect your brakes for FREE! Stop wondering about your battery’s performance. 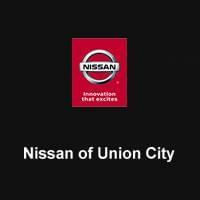 Let our trained Nissan Service Technicians check your battery for FREE!